We live in a world broken by sin. One manifestation of brokenness is found in those living with disabilities. God shows great affection for the lost, including those who live with brokenness the blind, lame, crippled, etc. It behooves us to ask how we can more effectively respond to this vast and often forgotten population. We ask, How can the church share the Good News with people whose intellectual capacities are affected by disability ? First we affirm that all people are fallen and need ... See More redemption in Christ. People who live with disability are no different. We cannot assume they are automatically accepted by God apart from faith in Christ. But we must understand that the range of intellectual disability includes some who can express faith, and others who cannot. Second, for those whose developmental disability allows them to understand, we must contextualize the Good News in ways they can grasp. If they can express faith, however simply, we must help them do so. Romans 10:9 models this simplicity. Gods people must work carefully to communicate essential aspects of faith in Christ in easily understandable terms for those with mental disability. But another difficult question arises concerning those whose intellectual capacity does not allow them to express faith in a verbal manner. Jesus teaching John 15 and Pauls 1 Corinthians 7 offer a way for including in Gods community those whose brokenness is more severe and limiting. 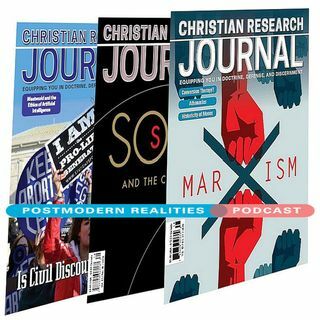 This Postmodern Realities episode is a conversation with JOURNAL author Michael S. Beates about his coauthored CHRISTIAN RESEARCH JOURNAL article Retelling the Old, Old Story Sharing the Gospel with Those Living with Disability.